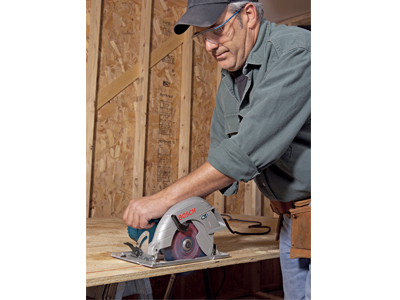 The Bosch CS5 left bade design saw is the fastest cutting saw in it's class. 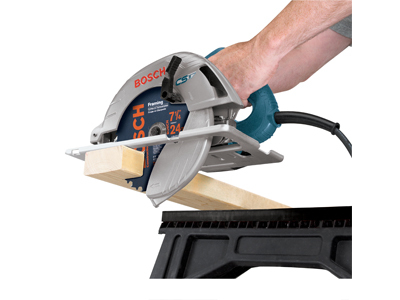 Bosch quality for all jobsite environments and the best product at the right price point. 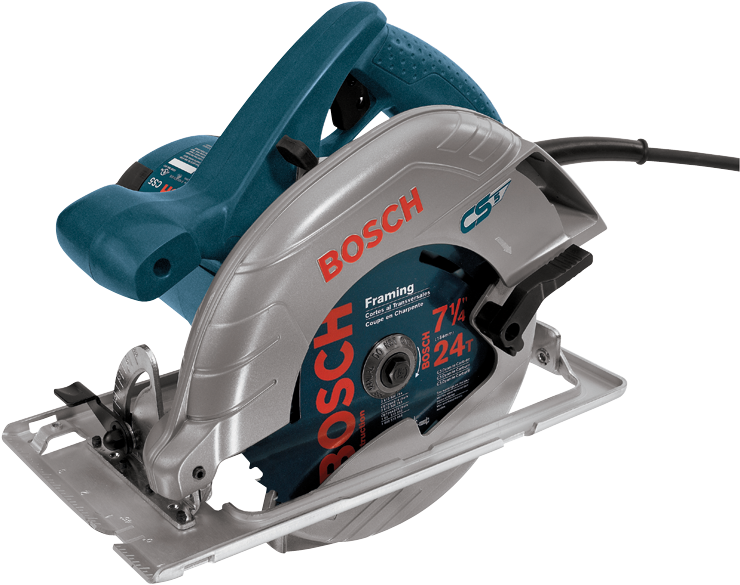 Featuring a powerful 15 Amp, high output motor, Bosch's CS5 7-1/4 In. 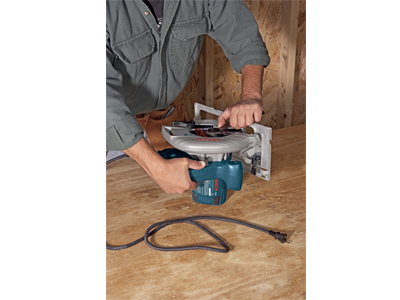 circular saw offers fast, smooth cutting at a variety of different angles. 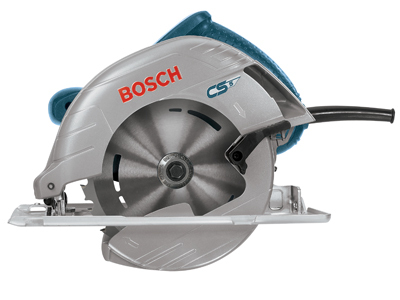 Weighing in at just 10 Lbs., the Bosch CS5 is easy to handle and comfortable to use. 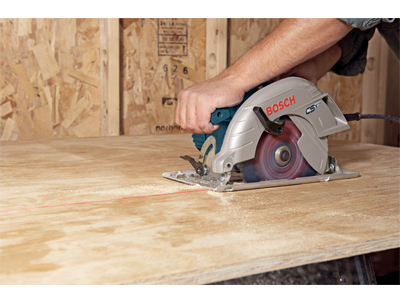 An unobstructed view of the cut line means better visibility for more exact cuts. Max. Depth of Cut at 45 Deg. 1-7/8"
Max. 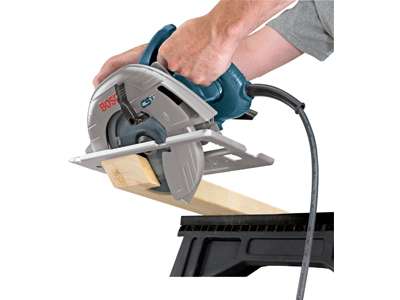 Depth of Cut at 50 Deg. 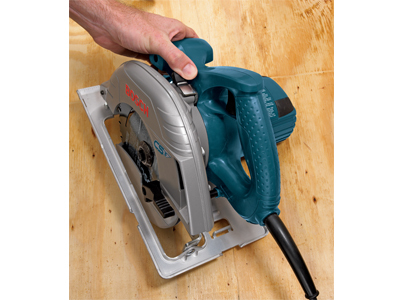 1-5/8"
Max. 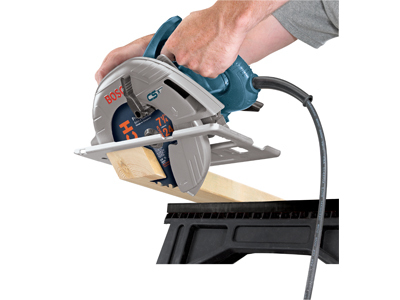 Depth of Cut at 90 Deg. 2-7/16"